If you’ve already been to Cape Town and you’re currently planning another Summer vacation in and around the Mother City, then do yourself a favour – get a car, gather your favourite travel buddies, pack some padkos and head out on the road to the Cape Overberg region. There’s no doubt that Cape Town and the Winelands is spectacular, boasting even more cultural and culinary delights to offer visitors each year, but there’s more to the Western Cape than Table Mountain and Stellenbosch. And while the Cape’s Overberg region is most renowned for its quirky dorpies, whale-watching spots, shark-cage diving adventures and laid-back lifestyle, there’s so much more to explore in Overberg’s coastal and inland towns. The best way to truly discover what Overberg has to offer is through a good ol’ road trip. A road trip will certainly give travellers the chance to explore off-the grid-spots at their hearts’ content, and a week’s worth of travelling is more than enough to get the most out of this region. In an attempt to #reclaimtheroadtrip, we discovered a whole new side of the Cape Overberg - from fine dining foodie experiences in tranquil mountainous regions and a myriad of activities for adrenaline junkies to feast on, to exploring isolated coastal spots and witnessing many awe-inspiring and selfie-worthy sights. Here’s a guide to begin your Overberg road trip and experience a new side of the Western Cape. Begin your journey from Cape Town and head south-east for 65 km to reach the small town of Grabouw. Just another 5km south-east will see you in Elgin, a lush landscape circled by mountains, just beyond the Hottentots Holland Mountains. Kick-start your road trip with an adrenaline-packed activity in the heart of Elgin, and get your heart racing with a Cape Canopy Tour zipline between mountains, over spectacular waterfalls and an abundance of fynbos. The experience will have you weak in the knees and almost backing out – especially once you reach that first platform to slide across to the next mountain! However, once completed, the exhilarating - and safe - experience will give you a sense of pride and achievement. There are 11 ziplines throughout the course which takes about four hours to complete. Apart from being emotionally prepared, one needs to be physically fit and prepared for a hike up a mountain, back to the point of collection. And in my honest opinion, the hike was more daunting than the zipline! While zipping from one post to the next, be sure to keep your eyes open and take in the breathtaking surrounds of fynbos panoramas and mountainscapes. Being immersed to this extent in nature – despite the level of adrenaline in your body – is a truly cathartic experience. A Cape Canopy Tours zipline will cost R895 per adult. Click here for bookings and inquiries. You will most certainly work up an appetite after hours of ziplining and hiking in Elgin. Thankfully, the town is also home to the Hickory Shack – an eatery that honours the Texas tradition of “dry rub meat” with meals that feed not only your belly, but also your soul! If smoked meat tickles your taste buds, then Hickory Shack is where you need to dine for juicy, flavourful dishes. The traditional BBQ smokehouse specialises in ribs, brisket, pulled pork and a variety of sides. For more on its menu and opening hours, click here. If your palate craves more local cuisine then a visit to Grabouw Lodge should be one of your road trip stops. Enjoy traditional Cape Malay curries and cuisine at this lodge that creates a homely feel with its many personal touches – and you can book a room and stay over at the lodge too. One of the most unique accommodation spots in Overberg is Trails End, which proves that less is more with a minimalistic and modern set-up, offering the ideal place to get some rest and relaxation after a long day on the road. Inspired by a love for mountain biking, Trails End can be found within the mountain trails in Elgin Valley, often serving as a resting point for avid bikers who attend races or who use the venue as a training ground for a race. Drive through New Harbour and stop for a tour at Heart of Abalone to learn more about these shelled sea creatures. Abalone, called “perlemoen” in Afrikaans and Dutch with reference to its mother-of-pearl shell, is an edible delicacy in many Asian countries. At the abalone farm, you will get to learn more about abalone and how it’s farmed, as well as see, feel and even taste it. There are many boutique wineries situated in Overberg, particularly Hermanus which is home to the Hemel en Aarde Valley. Translating to “Heaven and Earth”, explore this wine route with Hermanus Wine Hoppers which offers a convenient hop-on hop-off tour that will take you on a wine journey in Overberg, including stops at Bouchard Finlayson estate for its Pinot noir, Sumaridge Estate which boasts wine with a view, and Creation Wines where you can enjoy one of many wine and food pairings. For a truly opulent stay in Hermanus, book a room at the Thatch House or The Marine. Thatch House is a decadent boutique hotel located in a tranquil setting, boasting sea and mountain views. Sleep in lavishly decorated rooms – some of which are bigger than a Cape Town city apartment! An alternate accommodation choice is The Marine, a seaside hotel where you can spot whales directly from the comfort of a sea-facing bedroom. While both these hotels are decadent and inviting, we recommend that travellers should reserve these options for very special occasions only, as it is quite costly with rooms from about R5 000 per night. Drive 16km east of Hermanus to visit Stanford, a small riverside town that is a must-stop destination in Overberg especially for foodies. Indulge in cheese tasting at Klein River Cheese, which uses age-old artisinal methods on the Klein River Farmstead to make a variety of cheeses. It also uses locally-sourced, pasture-fed cows’ milk that is pasteurised. This family-friendly escape has playground facilities for kids, farm animals and spectacular mountain views. It is open from Monday to Saturday, 09:00 to 16:00. Click here for more information. One of Overberg’s gems is its wine route, and Stanford Hills Estate is not only an ideal stop for wine-lovers, but also to enjoy a delicious lunch break from being on the road. Considered a “slow food destination”, chefs serve an array of fresh and locally produced food. Stanford Hills farm became recognised for quality Pinotage in small quantities, and has since grown into a boutique wine farm that now also produces a Sauvignon Blanc, Shiraz, Chardonnay and the popular Veldfire range. Newly opened Africamps site at Stanford Hills makes for the perfect stay-over while on your road trip. It is affordable, has a rustic look and feel while very comfortable with all basic amenities, and is ideally located at a stunning landscape with easy access to local food and wine. Bookings for Africamps is available here. Head 19km south-west of Stanford to De Kelders, a coastal village and holiday resort between Gansbaai and Hermanus. While this area is most famously known as a fishing town and whale-watching location, as well as for its dense population of great white sharks and shark cage diving adventures, there’s so much more adventure and exploration to be relished in this part of Overberg. If an adventure is what you are looking for, then go on this exhilarating bike ride in Walker Bay Nature Reserve. Fat bikes have thick wheels that allow the rider to go down sand dunes. The trail to the dunes runs on a narrow sandy horse trail through the Fynbos. Stop to check out mind-blowing views of mountains, ocean, and plant and animal life while on the trail. A Fat Bike Tour takes 2-3 hours and starts from R600 per person. Book here. If you’re not afraid of dark, small and damp places, explore this geological wonder of ancient limestone caves. The Drip Cave, or “druipkelder” as it is called by locals, is located under a natural spring and large amounts of fresh water permeate through its limestone floor to form crystal clear, natural pools. A tour of De Kelders Drip Cave, proves to be an informative and adventurous activity in Gansbaai. Tours start from R250 for 3 people, plus R60 for each person thereafter (the rate is the same for children). The tour lasts between one and one and a half hours. Click here for more information. Explore the coastline of Walker Bay Nature Reserve – climb down the pathway to the shore, take a stroll on the tranquil scenic beach, collect beautiful seashells, soak in a quiet moment while listening to the calming waves and snap a few selfies. Access to the Reserve is R40 for adults and R20 for children. The African Penguin and Seabird Sanctuary is a Dyer Island Conservation Trust project based in Gansbaai, where visitors can see and learn more about the many seabird rescues in the area. The facility provides local marine avian species with a rehabilitative centre where injured, diseased or distressed birds can be treated. Entrance is free but donations are welcomed. Feast on hearty meals at Tolbos Bistro or Blue Goose, two of Gansbaai’s top restaurants located in century-old houses, each with a quirky vibe and setting. Seafood will not disappoint at Tolbos Bistro, while Blue Goose has a selection of mouth-watering meals and Overberg wines and craft beers to choose from. Get some rest at Saxon Lodge guesthouse, which is conveniently located overlooking the Gansbaai harbour with horizon views across Walker Bay, and within walking distance to shops, restaurants and pubs. Book one of the comfortable rooms here, and enjoy the picturesque sunset right from your balcony. 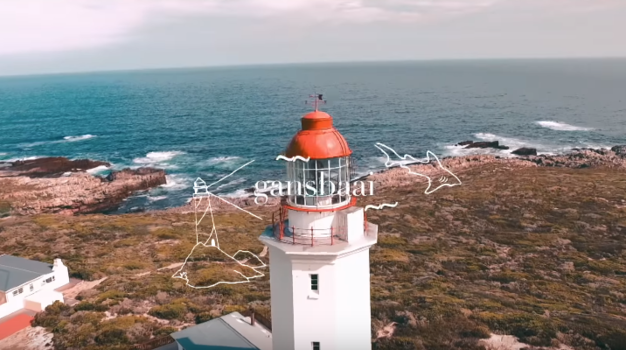 Make your way to the quiet coastal towns of Struisbaai and Arniston, which are about 4km kilometres from Cape Agulhas. These towns are the perfect escape for some quality down-time, or if you want to stop here on a quick detour on your road trip, you can get the best out of the place in a few hours. Float on a boat or opt for an adrenaline-filled speed ride, then take a casual walk from the harbour to the Sea Shack - “Struisbaai’s favourite seafood restaurant”. Sea Shack is set-up right on the beachfront, so you can enjoy complete beach vibes and have the sand between your toes while you munch on some fresh calamari. Based in Arniston, The Dunes offers luxury living in the middle of nowhere! If absolute tranquillity is what you are looking for, then a night here is worthwhile. There are number of lavish hotel rooms to book, as well as Beach Villas for families and groups travelling together. Situated on the N2, about 220 km from both Cape Town and George, you will find Swellendam. This is the third oldest town in South Africa, with over 50 provincial heritage sites to explore - most of them buildings of Cape Dutch architecture. However, there’s much more to do in Swellendam, particularly for the adventurous at heart. Marloth Nature Reserve is hidden away in Swellendam’s mountains - between Swellendam, Ashton, Barrydale and Suurbraak. The Reserve is one of the most unspoilt in the country, offering visitors a range of hikes, including the six-day Swellendam Trail, which is a must for serious hikers. The conservation entry fee is R40 for adults and R20 for children. The Railton Township tour with Meisie Bokwana is a short trip around Swellendam that will give you a background of the town. Bokwana, who has a firm standing in the community, was born in Swellendam to a Xhosa father and Pondo mother from the Eastern Cape. The tour, which is about 2.5 hours long, shows you a different side of Swellendam. By foot or car, the tour will take you from the oldest building in Railton (Bloemfontein Huisie), allow you to taste traditional Xhosa beer, and experience song and dance by local children. 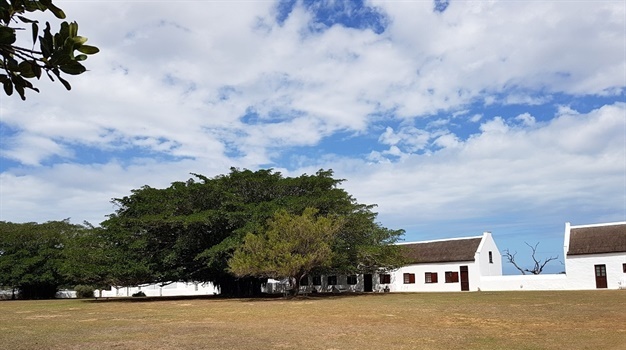 Stop for a bite of traditional local cuisine at The Old Gaol, situated opposite the Dutch Reformed church on the edge of the Old Quarter. This little eatery serves traditional roosterkoek and melktert, as well as a range of fresh juices and lunch meals. From here you can head along the N2 for a 2-hour trip back to Cape Town… or if the #reclaimtheroadtrip bug has bitten, let the road lead you on an exploration of even more of the Cape’s gems. *Disclaimer: Traveller24 content producer Kavitha Pillay was hosted by Wesgro for the Overberg road trip.